This is a Bicycle. It was designed by Mark Sanders (b. 1958) and manufactured by Ming Cycle. This object is not part of the Cooper Hewitt's permanent collection. It was able to spend time at the museum on loan from Ming Cycle and Bill Wilby	as part of Beautiful Users. It is dated 2012. Its medium is aluminum, plastic. Mark Sanders designed the STRiDA bicycle for his industrial design thesis project in 1985 at the Royal College of Art in London. The STRiDA can be folded in fewer than 10 seconds and is easy to move in its folded state—like a “rolling umbrella.” The striking triangular profile enables users of various heights to ride the same model. Sanders’s company, MAS Design Products, sold the STRiDA design to Ming Cycle in Taiwan, which now distributes the bike worldwide. 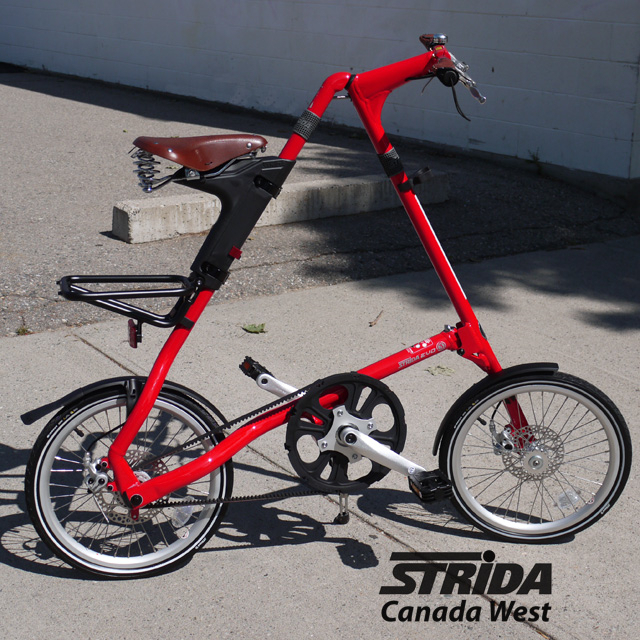 It is credited Courtesy of STRiDA Canada West. 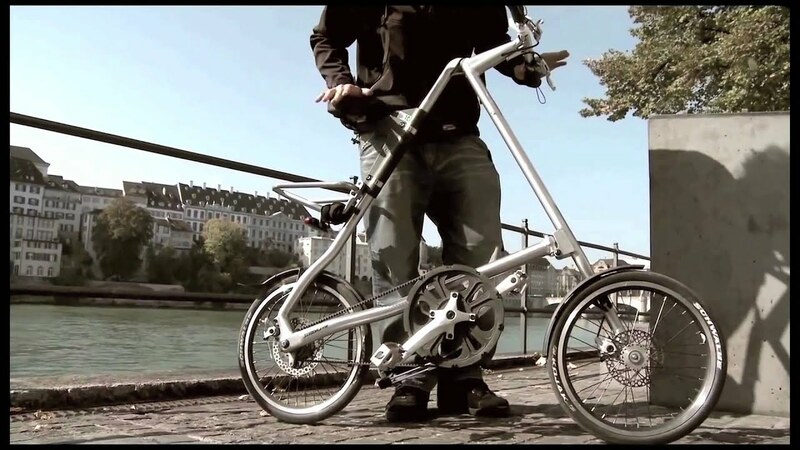 We have 1 video that features Bicycle, STRiDA EVO, 2012.